International Journal of Research in Health Sciences,2014,2,1,87-93. 1Professor and Head, 2Associate Professor, 3Professor, Department of Pharmacology, MR Medical College, Gulbarga, Karnataka, INDIA. Aim: To compare the Anti-inflammatory activity of Loratidine with Diclofenac sodium in animal models. Material & Methods: Xylol induced Mouse ear edema: 5 animals (3groups) received orally 4% Gum acacia, Diclofenac and Loratidine respectively, 1 hour before the application of one to two drops of xylol applied to one of the ears on both sides through a syringe. The mouse ear edema was measured at the end of 40 minutes and percentage inhibition of edema was calculated in each group. 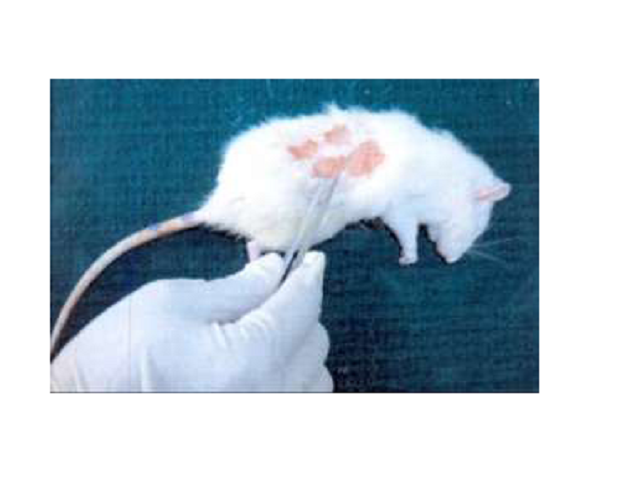 Rexin pellet granuloma method: Four rexin pellets were implanted in to dorsum skin of each rat of 3 groups (n=5), which include Control, Diclofenac and Loratidine respectively. The animals were treated with fixed doses of drugs once a day for 7 days including the day of implantation of pellets and on 8th day rexin pellets were removed after sacrificing animals. Rexin pellets were kept in incubator at 600 C overnight, weighed and percent inhibition of granuloma tissue was calculated. Study on mast cell count. Result: Loratidine has shown significant anti-inflammatory activity both in acute and chronic inflammatory animal models. Conclusion: Loratidine may be used as an antiinflammatory agent for both acute and chronic inflammation.